To learn more about the interpretive dance of Neil Hall and what happened during his first week at the Sanger Institute check out his faculty highlight. First off, Neil, as appreciative as he was of Chris’ talk, which came right before his; he felt the need to end the workshop on less of a gloom and doom note as he put it and sought to give us a light at the end of the tunnel. Additionally, he said everything Chris mentioned…his group has done at some point so next time Chris should get it right and mention their work, because if someone did something wrong his lab did it wrong first. And now science using sequencing can be hypothesis driven. In terms of disease and evolution we can talk about polymorphism vs divergence. Polymorphism within a species can be used to generate null hypotheses for divergence between species (ie. Dn/Ds = Pn/Ps; MacDonald-Krieitman). Theoretically positive selection should spread rapidly and become fixed leading to Dn/Ds > Pn/Ps whereas when you have purifying selection you would have Dn/Ds < Pn/Ps. When you look at Psuedomonas and phage, they will co-evolve over time if you leave them alone long enough in culture because phage adapts to host and hosts then adapt to the phage leading to this back and forth evolutionary dance. What is the rate molecular evolution with and without the the ‘Red Queen’? Diversity and divergence between populations? What genes might be under selection? In the work of Patternson et al., 2012 looking at hosts and phage, they found with replicates that they followed a similar trajectory away from the ancestral sequence as they adapted to laboratory conditions. Replicates evolved similarly within a treatment but differently in different treatments. They also showed independent evolution within each replicate and a higher rate in the coevolved than evolved treatment. they found positive selection t be stronger in the co-evolved phage and co-evolved phage show twice the genetic distance from the ancestor. They also found phage attachment proteins in the tail contain the most diversity within and between populations and suggest that there is fluctuating selection within populations. 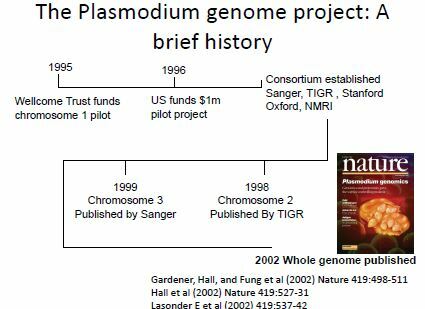 Neil decided to go into some background about NGS and the study of malaria as everyone looked young enough to perhaps not remember the days before next gen sequencing. 300-500 million cases, 1.5-2 million deaths/yr…basically malaria kills a child every 40 seconds. Caused by the parasite Plasmodium spp. which is a eukaryotic single celled organism with a complex life cycle. The challenge with the parasite is that is keeps changing to evade the human immune response and so persists for a long time. Var and Rif genes are also antigenic causing immune response essentially pricking the immune system and these genes can change antigenically = antigenic variation. Back then it took a small army to get a genome sequenced. see all the colored bars? Each one curated by a human being in an exhaustive process. This particular genome was a collaboration between the Sanger Institute, TIGR, Stanford, Oxford and NMRI each institution taking a chromosome and sequencing it. They used YAC cloning and shotgun sequencing they then aligned the contigs and closed gaps using PCR/primer walking. Painstaking process as compared to what we can do today. Additionally, every gene had to be manually curated and verified so there were cubicles of people at these institutes whose job it was to check ORF calls, examine them against PFAM databases and annotate the gene. 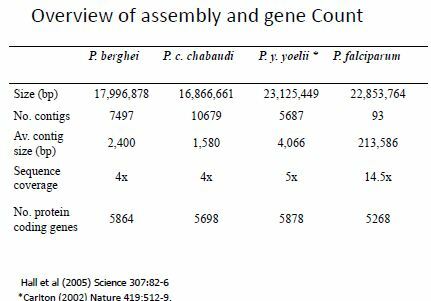 They ended up with a smaller genome than they expected…22,853,764 bp; it was AT rich, 52% was coding sequence, it had a minimal set of tRNAs, 90% of the genes had not been previously described and 50% have no homologues. They were able to iron out chromosome structure as well as adhesive domains. The found that all the genes involved in antigenicity and adherence were concentrated around the telomeres of the chromosome structure. Why? Lots of gene conversion can occur + generation of new genes. Also of interest is P. falicparum has less transcription factors than you might expect given its genome size; either they are highly diverged or other mechanisms play a major role in regulation of gene expression. Why would so few regulators be needed? Well, Plasmodium does have a predetermined life cycle, it does not have nutritional choices and lives in a defined, stable and nutrient rich environment; it’s not competing with other species and though it’s environments in switching hosts change or are varied they occur sequentially always in the same order so the parasite knows what is coming next. They believed Malaria evolved via a Pac Man type of evolution where a eukaryotic cell at a cyanobacteria leading to a chloroplast forming a sort of ancient algae; this construct was then eaten by a bigger eukaryote and the algae forms a symbiotic relationship with the host and over time evolves into an apicoplast, DNA from the apicoplast migrates to the nucleus and you have the modern day Plasmodium. 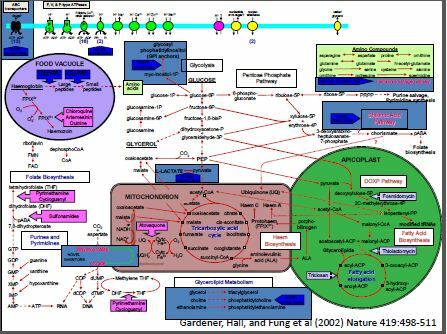 Analysis of the apicoplasst showed ~10% of nuclear genes may be imported into the apicoplast (identified via transit peptide), phylogenetic analysis of 333 putative plastid targeted proteins showed 26 plastid derived, 35 mitochondrial and 85 possibly mitochondrial. So what has the genome achieved? A list of genes targeted to the apicoplast a known drug target. Most Plasmodium are highly adapted to a single host. Orthologs: Homologous genes separated due to a speciation event. There was clustering of telomeric gene families and gene family expansion was species specific (mostly occurring at the telomeres). Some genes which are single copy in one species are multicopy in another and presumably have acquired new functions. They found positive selection on plasmodium genes to be stronger in the mosquito vector via dN/dS analysis. They looked at different expressions in proteins. 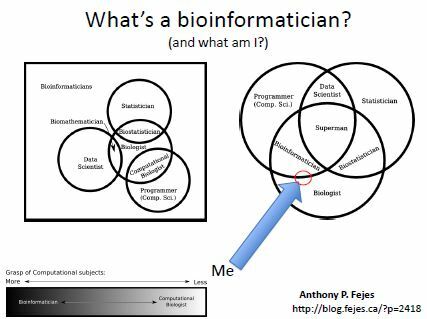 MEME: program that IDs motifs then uses that to search back against genome to pull out more genes. They also found translational control. In general transcription is relatively slow which is highly inconvenient when you change hosts so quickly. But the parasite knows what’s coming next and if you know what is coming up you can prepare for it by storing up transcripts which can be quickly converted to protein upon entering the next environment; therefore P. falciparum regulates its translation so that not all transcripts are translated as soon as they are made. 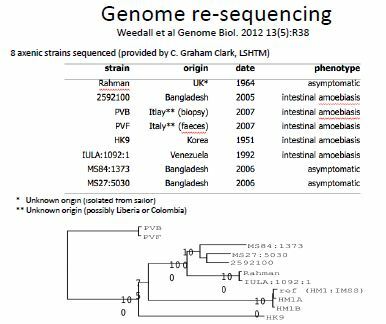 They compared 470 genomes 18 strains total from around the world. Measured total variation within species. Diversity is strongly association with host interaction. 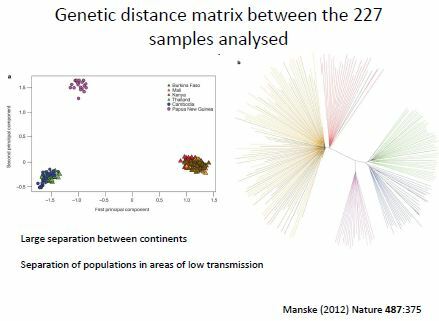 MalariaGen Project: characterize variation in P. falciparum, establish repository of popoulation genomic data, 1685 samples 25 location 17 countries, map phenotypes to drug resistance. There was a large separation between continents, separation of population is areas of low transmission, and more structure in areas of low transmission, hence less structure endemic areas. Quantification of within host diversity showed an inbreeding coefficient could be estimated via heterzygosity within a host (Fws), this value is probably related to transmission rates and human population distribution and inbreeding can lead to drug resistance. To identify drug resistance loci you can use traditional genetic methods (crosses), allele selection and genome wide studies for selective sweeps. Selective sweeps are not easy to identify but you can do genetic crosses. 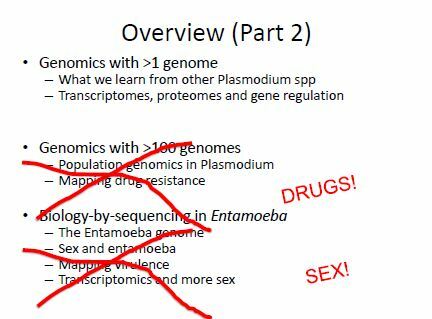 It’s also worth noting that allele selection which you do with rodent malaria parasites; drug resistant loci in rodent malaria aren’t the same loci you get in human malaria loci. Long range linkage disequilibrium (LD) and low diversity are a marker for drug resistance, but there is a danger in this type of analysis when it comes to population structuring. It is a very neglected tropical disease, in fact, if you look it up in Wikipedia in neglected tropical diseases…it’s not even there! So it’s time to do some genetics from scatch. 80-90% of a people infected are asymptomatic…why? Lots of HGT with bacteria, not surprising since it eats bacteria. We hypothesize that there is an underlying genetic cause of virulence…no microsatellites and no genetic studies have been performed. Here’s Neil paused for a moment…he’d been at the workshop for several days and had heard Antonis talk about how you can’t trust bootstrap values and of course Chris who had just spoken before him slamming all the statistical techniques and lack of validation in the field leading to good ‘stories’ which weren’t necessarily correct…to which Neil responded if anyone did it wrong…his lab did it wrong first! “It’s been a good meeting for me…” and much laughter ensued. They did tests for recombination (4-gametes test) suing 4000 high quality candidate marker sites and found evidence of historical recombination. They further investigated this at the request of a reviewer to show that it was indeed recombination versus gene conversion. The sources of variation in E. histolytica were SNP, gene loss/gain and copy number variation. They looked at genomic plasticity: gene copy number variation which is associated with differential transcription. These process are affect the emergence and spread of drug resistance and virulence. SNP genotypes from a single population showed consistency with frequent recombination and that specific SNPs segregate with disease for instance EHI_080100 reference alleles lead to diarrhea/dysentery as opposed to colitis/liver abscess. 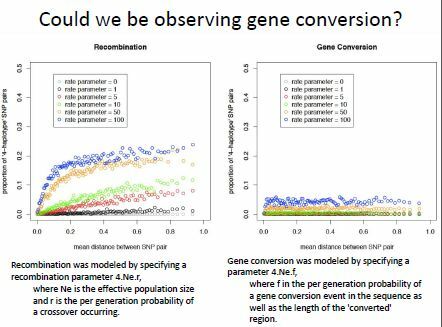 So if recombination is occurring…when is it occurring? Expression levels of genes involved in meiosis increase at 24 hrs after encystation. Genomic data support the hypothesis that recombination is occurring Entamoeba. They saw strong evidence for meiosis occurring during the encystation process. They identified a lipid signally molecule that is involved in induction of encystation.